When most classic film buffs discuss movies that have been snubbed at the Oscars, they tend to focus on only a few categories: Best Picture, Best Director, Best Actor, Best Actress, and so on. While I have to admit that over the years these categories can be ripe for debate, at least since the Sixties, it has always been the "Best Original Song" category that has provided contention for me. Year after year my favourite original song from a film either loses to another song (often my least favourite song nominated) or it is not even nominated at all. This was true even when I was only about a year old. At the 37th Academy Awards ceremony held on April 5 1965, there were two composers whose songs are still popular today whose names were not read when they announced the nominees for "Best Original Song". Quite simply, John Lennon and Paul McCartney were not nominated for any of the songs from A Hard Day's Night (1964). A Hard Day's Night did receive two nominations ("Best Original Screenplay" and "Best Adaptation or Treatment Score"), but received nothing for what were among its most obvious assets: its songs. At least for Beatles fans today the fact that The Beatles were not nominated for "Best Original Song" must seem incredulous. 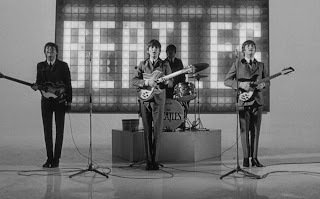 Indeed, the songs that John Lennon and Paul McCartney wrote for the film remain among The Beatles' best remembered: "A Hard Day's Night", "I Should Have Known Better", "If I Fell", "Can't Buy Me Love", and "And I Love Her". What is more, both "A Hard Day's Night" and "Can't Buy Me Love" would be hits. Both "A Hard Day's Night" and "Can't Buy Me Love" hit no. 1 in the United States, the United Kingdom, and elsewhere. In fact, with regards to the Billboard Hot 100, "Can't Buy Me Love" set the record for the biggest jump to number one at the time (it went from number 27). Nearly all of the songs from A Hard Day's Night are still played frequently today. Indeed, the title track remains one of the songs with which The Beatles are most identified. I think a very good argument can be made that The Beatles were snubbed with regards to the "Best Original Song" category. Of course, in the Academy's defence it can be said that 1964 was a fairly good year for original songs from movies. After all, Mary Poppins was also released that year. In fact, the winner of "Best Original Song" was from Mary Poppins: "Chim Chim Cher-ee". It was also the year that Robin and the 7 Hoods was released. From that film came another nominee for "Best Original Song", "My Kind of Town". While I don't think anyone could make a good argument that neither of these songs should have been nominated (they are both great songs), I do have to question some of the other songs that were. Quite simply, they are not as memorable as The Beatles' songs from A Hard Day's Night, any of the songs from Mary Poppins, or "My Kind of Town". Don't get me wrong. "Dear Heart", "Hush… Hush, Sweet Charlotte", and "Where Love Has Gone" are all fine songs, but they aren't exactly memorable. I have to confess I have trouble remembering what they sound like, and one rarely hears them today. Indeed, I think one could make an argument that not only were The Beatles snubbed for "Best Original Song", but to a degree so were the Sherman Brothers. More than one song from Mary Poppins deserved to be nominated in the category. Indeed, I don't even think "Chim Chim Cher-ee" is the best song from the movie! I would have probably nominated "A Spoonful of Sugar" or "Supercalifragilisticexpialidocious" as well as or even instead of "Chim Chim Cher-ee". Of course, the question is if The Beatles had been nominated for their songs from A Hard Day's Night, which songs would have been nominated. Given the Academy's tastes in songs over the year, I suspect it would have been one of the love songs. I rather think then that they would have nominated "And I Love Her" or perhaps "If I Fell". Given the Academy's preference for love songs, I suspect that they would not have even considered the song from A Hard Day's Night that deserved the most to be nominated: "A Hard Day's Night" itself. As I said before, the song was a number one record and it remains one of The Beatles' best remembered songs ever. That brings me to the reason that none of the songs from A Hard Day's Night were probably nominated for "Best Original Song". Quite simply, even in 1964 rock music was a fairly new music genre and one that was identified primarily with teenagers. It was not particularly respected in many quarters and would not be for several more years. It is notable that prior to 1964 not even one rock song was ever nominated for "Best Original Song", not even Elvis Presley's classic "Jailhouse Rock". Given how conservative the Academy of Motion Picture Arts and Sciences has always been, it was not very likely that they would nominate a song by any rock artist at the time, no matter how deserving it might be, not even The Beatles. Here I have to point out that the fact that The Beatles were British probably did not play a role in none of their songs being nominated. 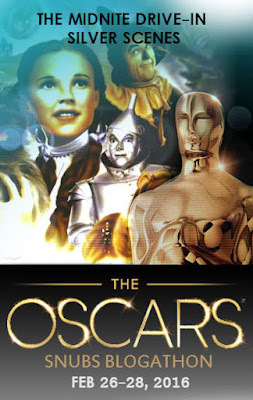 The 37th Academy Awards was the first time ever that not one of the winners in the "Acting" categories were from the United States. Best Actor Rex Harrison (My Fair Lady), Best Actress Julie Andrews (Mary Poppins), and Best Supporting Actor Peter Ustinov (Topkapi) were all British, while Best Supporting Actress Lila Kedrova (Zorba the Greek) was Russian/French. The way the 37th Academy Awards went, the fact that The Beatles were British probably would have worked in their favour! Sadly, as a rock group they really didn't have a chance. If I had my way, in the end the "Best Original Song" nominees would have been very different. "Chim Chim Cher-ee" and "My Kind of Town" would still be nominated, but the other three songs would have been "A Hard Day's Night", "A Spoonful of Sugar", and "Supercalifragilisticexpialidocious". As to the winner, I don't think anyone will be surprised when I say it would be "A Hard Day's Night". Of course, in the end it perhaps doesn't matter. Just as 42nd Street is remembered today while only classic film buffs know of 1933 Best Picture winner Cavalcade, The Beatles' songs from A Hard Day's Night are remembered today while most of the nominees for "Best Original Song" at the 37th Academy Awards have been forgotten. It was 100 years ago today, on February 26 1916, that Jackie Gleason was born. He might well be most famous for The Honeymooners, a series of sketches on Cavalcade of Stars and later The Jackie Gleason Show that would be its own series for a short time. As popular as The Honeymooners was, Jackie Gleason played a number of other characters besides bus driver Ralph Kramden on his variety show. He also saw a good deal of success in film, appearing in such movies as The Hustler (1961), Don't Drink the Water (1969) and Nothing in Common (1986). Jackie Gleason was born in Brooklyn, New York on 364 Chauncey Street (the address he would later use for Ralph and Alice Kramden on The Honeymooners). His father deserted his family when he was only nine years old and his mother died when he was only 19. Having to make his own way in the world, Jackie Gleason gravitated towards comedy. He played a number of small clubs before eventually landing at Club 18 in New York City. It was there that Jack L. Warner discovered him and signed him to a contract with Warner Bros.
Jackie Gleason would make his film debut in 1941 in Navy Blues. Unfortunately Mr. Gleason would not have a huge impact in the films he made for Warner Bros., despite playing opposite such stars as Ann Sheridan and Humphrey Bogart. After appearing in such films as Lady Gangster (1942), Larceny Inc. (1942), and Escape from Crime (1942) at Warner Bros., he appeared in Orchestra Wives (1942) and Springtime in the Rockies (1942) at Twentieth Century Fox. With his film career going nowhere, he returned to performing in nightclubs. Having first appeared on Broadway in the revue Keep Off the Grass in 1940, he returned to Broadway with Artists and Models in 1943 and then Follow the Girls in 1944. In 1949 he appeared again on Broadway in Along Fifth Avenue. While Jackie Gleason had little luck in films, he would become a star in television. That having been said, his first taste of television would not exactly be a success. In 1949 he played Chester A. Riley in the television version of popular radio sitcom The Life of Riley. The show received sterling reviews, but its ratings were not particularly strong. Perhaps the role of Riley was too strongly identified with William Bendix, who had originated the role on radio and even played him in a feature film (The Life of Riley in 1949). Regardless, while William Bendix would assume the role for the next television version of The Life of Riley (which debuted in 1953 and ran five years), Jackie Gleason would find phenomenal success in his next television project, Cavalcade of Stars. Cavalcade of Stars had debuted on June 4 1949 on the Dumont Television Network. It was a variety show originally hosted by Jack Carter, who left to star in The Jack Carter Show on NBC. Jack Carter was replaced by Jerry Lester. When Jerry Lester left the show he was replaced by Jackie Gleason. It was on Cavalcade of Stars that Jackie Gleason originated many of the characters for which he would be best known. Among the earliest was Reginald Van Gleason III, a stereotypical millionaire with a taste for the good life. Others were the convivial Joe the Bartender, the loudmouth Charlie Bratton, and the Poor Soul (a silent character who always came to grief wherever he went). 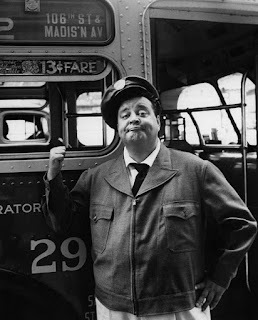 Perhaps the most popular character Jackie Gleason created while with Cavalcade of Stars was bus driver Ralph Kramden, the centre of the show's "The Honeymooners" sketches. With Art Cartney playing Ralph's best friend Ed Norton, the sketches soon became the most popular part of the show. The success of Cavalcade of Stars would not go unnoticed, much to the misfortune of the struggling Dumont Television Network. In 1952 William S. Paley offered Jackie Gleason a considerably higher salary to move to CBS. It was then on September 20 1952 that The Jackie Gleason Show debuted on the network. While it had a new name and was airing on a new network, the show as more or less still Cavalcade of Stars. On perpetually number one network CBS, The Jackie Gleason Show became even more successful, entering the top ten shows in its second season on its new network. Just had been the case when the show as Cavalcade of the Stars on Dumont, "The Honeymooners" sketches continued to be the most popular part of The Jackie Gleason Show. It was then in 1955 that the half hour sitcom The Honeymooners debuted. As wildly popular as "The Honeymooners" had been on The Jackie Gleason Show, the sitcom The Honeymooners initially did not see a lot of success. The show did not perform particularly well in the ratings. At the same time Jackie Gleason worried that they were starting to run out of original ideas. After only 39 episodes, then, Jackie Gleason and CBS agreed to cancel The Honeymooners. It was then in September 1956 that The Jackie Gleason Show returned. "The Honeymooners" series of sketches continued on the show. Unfortunately ratings for The Jackie Gleason Show were not what they once were, with the show only coming in at no. 29 for the season. The Jackie Gleason Show was then retooled. It was shortened to only a half hour and Buddy Hackett was added as a sidekick. This version of The Jackie Gleason Show failed and went off the air rather quickly. Jackie Gleason's fortunes would be somewhat varied for a time after the original run of The Jackie Gleason Show ended. His game show You're in the Picture, which debuted in January 1961, proved so catastrophic that after the show's debut Jackie Gleason spent the next episode of the show apologising for it. Its title was then changed to The Jackie Gleason Show and it lasted out its short life as a talk show. It was in 1962 that Jackie Gleason returned to the variety show format with a new show initially titled The Jackie Gleason Show: The American Scene Magazine. By 1966 it would simply be The Jackie Gleason Show. The show proved to be a hit and saw Jackie Gleason playing many of his old characters. As might be expected, "The Honeymooners" sketches were once more part of the show. The Jackie Gleason Show was still popular when it went off the air in 1970. CBS wanted Mr. Gleason to do more segments with "The Honeymooners", drop the all-variety segments of the show entirely, and deliver 24 to 26 shows per season. Jackie Gleason did not want to stop doing the all variety segments and did not want to do more than 20 shows per season. Since Mr. Gleason and the network could not come to an agreement, the show came to an end. With the end of The Jackie Gleason Show, Jackie Gleason did not disappear from television entirely. He continued to do specials in the Seventies, first for CBS and later for ABC. These specials featured many of his classic characters, as well as "The Honeymooners" sketches. There were also several Honeymooners specials. Of course, in many respects Jackie Gleason has never left television. The 39 episodes of the 1955-1956 show The Honeymooners have persisted in syndication for decades. In the Eighties Jackie Gleason released kinescopes of many of his live shows from the Fifties, including "The Honeymooners" sketches. These kinescopes would air on Showtime and were later added to The Honeymooners syndication package. Jackie Gleason's last appearance on television was in 1985 in the TV movie Izzy and Moe. He played opposite his old friend Art Carney. While Jackie Gleason's film career in the Forties was unimpressive, he would eventually see success in film. Following his success on television, Jackie Gleason appeared in one of his best known roles, Minnesota Fats, in The Hustler (1961). He was nominated for the Oscar for Best Supporting Actor for the role. In 1962 he starred in Gigot, a movie based on his own original story. The Sixties saw Jackie Gleason appear in such well known films as Requiem for a Heavyweight (1962), Soldier in the Rain (1963), How to Commit Marriage (1969), and Don't Drink the Water (1969). Jackie Gleason's film career would slow in the Seventies, although he would appear in one of his best known roles in Smokey and the Bandit (1977) as Sheriff Buford T. Justice. For better or worse Jackie Gleason would play the role two more times, appearing in the films Smokey and the Bandit II (1980) and Smokey and the Bandit Part 3 (1983). Mr. Gleason appeared more frequently in films in the Eighties, appearing in such films as The Toy (1982), The Sting II (1983), and Nothing in Common (1986). Nothing in Common would be Jackie Gleason's last film. On June 24 1987 he died at the age 71 from colon cancer. Even if the only thing Jackie Gleason had done was The Honeymooners. The Honeymooners was a sharp break from anything on television at the time. In the Fifties most characters on sitcoms were middle class. The Kramdens and the Nortons were most certainly working class, and the two couples often struggled to make ends meet. The apartment building in which they lived was decidedly run-down. It was the relative poverty in which the two couples lived that led to Ralph and Ed's many get-rich schemes, none of which ever paid off. Set in a world that television viewers rarely saw in the Fifties, with characters who were three-dimensional and plots that were absolutely hilarious, it should be little wonder that The Honeymooners continues to be popular nearly 65 years after the characters first appeared. Of course, Jackie Gleason did much more than The Honeymooners. Mr. Gleason had a talent for creating characters, and many of them are nearly as memorable as Ralph Kramden. And like Ralph Kramden they were generally based on real life. Reginald Van Gleason III could easily have been many millionaires in the 20th Century, while Joe the Bartender might be encountered at any number of establishments in New York City. Jackie Gleason had a talent for drawing upon real life to create characters who were not only funny, but could actually exist. While Jackie Gleason's fame is mostly due to his work on television, he did have a good career in film. He certainly deserved his Oscar nomination for playing Minnesota Fats in The Hustler. Arguably he should have received a nomination for Gigot as well, playing a lonely, mute French janitor. Jackie Gleason would give impressive performances in other films, including Requiem for a Heavyweight and Soldier in the Rain. While Jackie Gleason's comedy films were generally of a lesser quality than his dramas, they are worth watching for his performances alone. While the word "legend" is often tossed around today, it certainly applies to Jackie Gleason. He emerged on broadcast network television in its infancy and remained a part of it for literally decades. His variety show was not only one of the most successful of all time, but is still one of the most highly regarded. What is more, he created The Honeymooners, perhaps the most famous characters to emerge from television in the Fifties outside of those on I Love Lucy. If anyone can be called a legend, particularly with regards to television, Jackie Gleason could. George Harrison has always been my favourite Beatle after John Lennon. I also think he was the second best songwriter after John Lennon. With but a few exceptions, if one of my favourite songs wasn't written by John, it will have been written by George. In fact, "While My Guitar Gently Weeps" is quite possibly my favourite Beatles song that George ever wrote and one of my favourite Beatles songs of all time. In honour of what would have been George Harrison's 73rd birthday, then, here is "While My Guitar Gently Weeps".